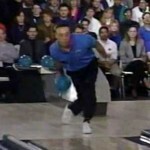 November 21, 1962 George Branham, III, professional bowler, was born in Detroit, Michigan. Branham started bowling at the age of six and at the age of 23 joined the Professional Bowlers Association tour. In 1986, he won the Brunswick Memorial World Open, becoming the first African American to win a PBA championship. In 1993, Branham won the Tournament of Champions, professional bowling’s most prestigious title. Branham retired at the end of the 2003 tour, having rolled 23 perfect games and won three additional titles. January 11th in African American History – Vernon Ferdinand Dahmer, Sr.